At Dive Oahu, Inc., we offer PADI recreational scuba diving training from the Discover Scuba Diving experience to Rescue Diver and PADI Continuing Education courses to broaden your experience and skills. We offer PADI professional-level training as a PADI 5 Star Career Development Center (CDC). At our CDC, PADI Professional candidates train and earn certifications from Divemaster to Instructor Development Course Staff Instructor led by our three PADI Course Directors. We offer a full range of PADI Continuing Education programs, like Deep, Wreck, Underwater Photography, and Enriched Air Diver specialty courses, to ensure divers at all levels have the opportunity to advance their skills and knowledge. PADI Professionals may earn additional Specialty Instructor certifications after earning their Open Water Scuba Instructor rating. We fully support Project Aware and encourage aquatic environmental responsibility in the local community and region. Our instructional staff promotes Dive Against Debris and other Project Aware programs through distinctive specialty training and our Dive Oahu Dive Club activities. Dive Oahu, Inc., is incorporated in the State of Hawaii. It was established in 1991 and has been serving Oahu’s dive community for over 27 years. Dive Oahu has developed a reputation for excellence and has earned several awards from PADI. 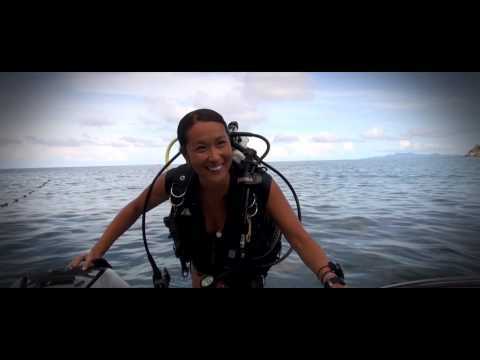 All of Dive Oahu’s instructors are PADI licensed and insured. Dive Oahu is headquartered at 609 Keawe St in Honolulu. We are located in a facility that includes a retail showroom, classroom, and technician service room. Other Dive Oahu location is our retail shop in The Naval Exchange at Pearl Harbor, 4725 Bougainville Drive, Honolulu.